The production of beer via brewing involves a multitude of different steps, with control of fermentation being key. The environment that fermentation occurs in must be tightly controlled to ensure that the beer produced is of the intended quality. 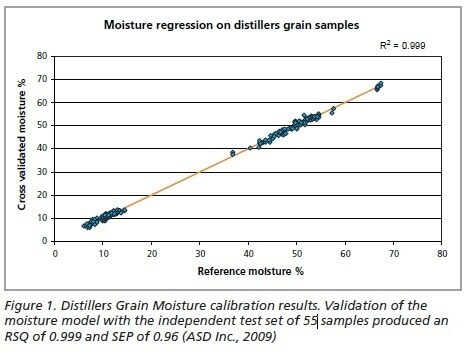 Unique calibrations can be ran for all stages of fermentation including grain analysis (protein, starch and moisture content), malting (protein content and overall quality), mashing (carbohydrate levels, fermentable carbohydrate analysis and wort parameters), fermentation (acid and soluble sugar content), production of animal feed (protein, fiber, sulfur and moisture content). Spectrometers provided by Malvern Panalytical are fast and highly sensitive, with a strong signal:noise ratio. With a wide spectral range, which reaches between 350 and 2,500 nm, they can be used for many different processing applications. Muglight is made for the absorbance and reflectance readings of raw materials. LabSpec 4 provides high-specification measurements in a compact package allowing it to be used in the field, or on the lab bench. The system is made for quantitative applications. Turntable is designed for the analysis of non-homogenous samples (where it can provide an average at high-accuracy) or for samples of irregular shape. Malvern Panalytical provides the materials and biophysical characterization technology and expertise that enable scientists and engineers to understand and control the properties of dispersed systems. Used at all stages of research, development and manufacturing, Malvern Panalytical’s materials characterization instruments provide critical information that helps accelerate research and product development, enhance and maintain product quality and optimize process efficiency.